view. However, the replies of conversation will only be included if the Subject has not been changed. the picture below. Please note that you have to quit and restart the app to see the results. 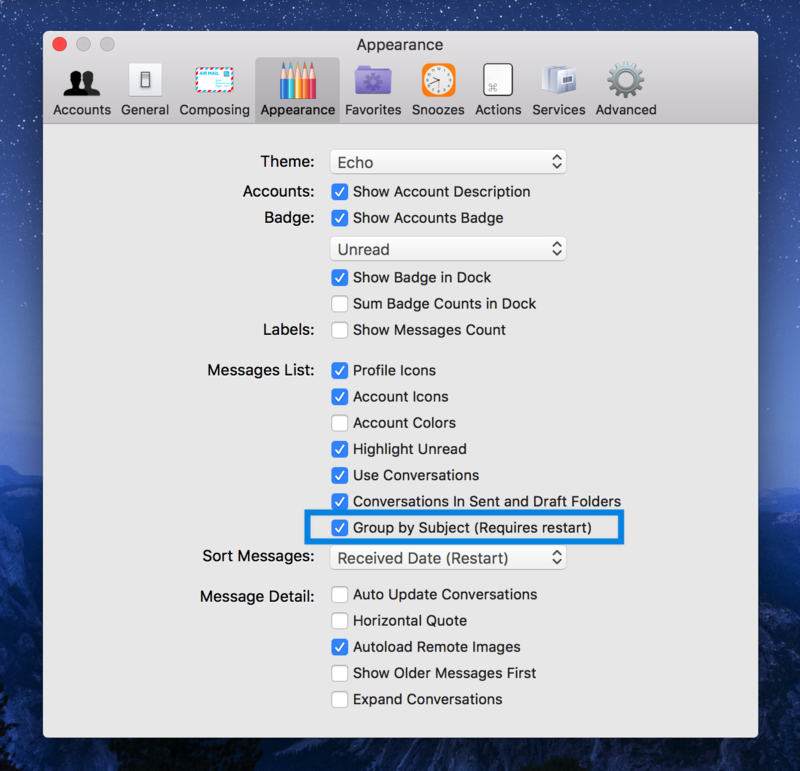 Group by Subject option will affect entire email accounts that is listed on Airmail.